A few months ago Tecno made a bold move to entirely concentrate its smartphone business in Africa. It ventured into the already saturated market with the maiden release of the Tecno phantom A. Packed with enticing specs, this phone didn’t even see the light of day(At least not in Uganda) as Tecno quickly made an iteration of their flagship Phantom A releasing the “A plus” replacing the dual core processor in the Phantom A with a quad core in the A plus just months apart. 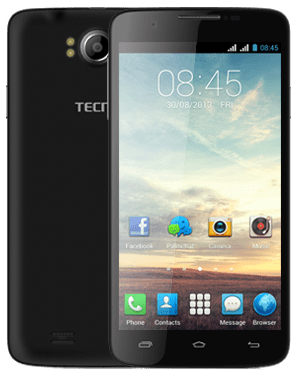 Many people like myself were doubtful of Tecno’s commitment to this fierce and unpredictable battle while afraid that the Tecno phantom might be a one hit wonder. Tecno however is proving many wrong as once again just about three months after the release of it’s “A plus” iteration which made a bold mark on the African smartphone market. Tecno has gone ahead to release not just another Smartphone but a Tablet as well. The Phantom A II and the Phantom Pad tablet. The Phantom Pad is another surprise as Tecno tries to claim a share of the African Tablet market as well. With an 8.0 Display, the Phantom Pad packs in a 1.2 Ghz quadcore processor, 1GB of RAM and 16GB of ROM, a 4500mAh battery, 5MP back and a 3MP front Camera. Dual SIM support 3G enabled with the a Phone feature. Editor’s note: The exact prices of the above mentioned devices are not available to the media and general public. We’ll update you as soon as they are available.